The Stunning Villa Maya, situated on a private estate on the Route Des Marres in Saint Tropez is the perfect luxury holiday escape for discerning travellers looking for absolute luxury in one of the most popular areas in the Cote D’Azur. 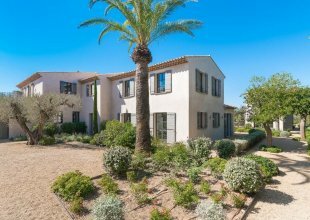 Just a short drive from the centre of Saint Tropez Village and similarly close to the world-famous beach clubs, Villa Maya is the ideal base to explore the wonders that Saint Tropez has to offer. Villa Maya's vast and indulgent interior includes a large, modern living room, formal dining room with seating for 12 guests, various shaded chillout areas and sundecks, fully equipped kitchen and six beautifully presented luxury en suite bedrooms. The luxurious décor, high-end fixtures and fittings along with the high-tech multimedia in each room makes for a wonderfully relaxing holiday where children and adults are sure to be entertained. With breath-taking views of Saint Tropez and the Mediterranean Sea, the villa boasts large, manicured and beautiful grounds with a large heated pool, shaded pool house and various chillout areas and sundecks. The Villa has electric security gates and a large, impressive entrance with space for four cars plus an additional underground car garage with space for another three vehicles, this beautiful and highly modern luxury villa is ideal for those looking for a memorable holiday filled with exploration and relaxation.